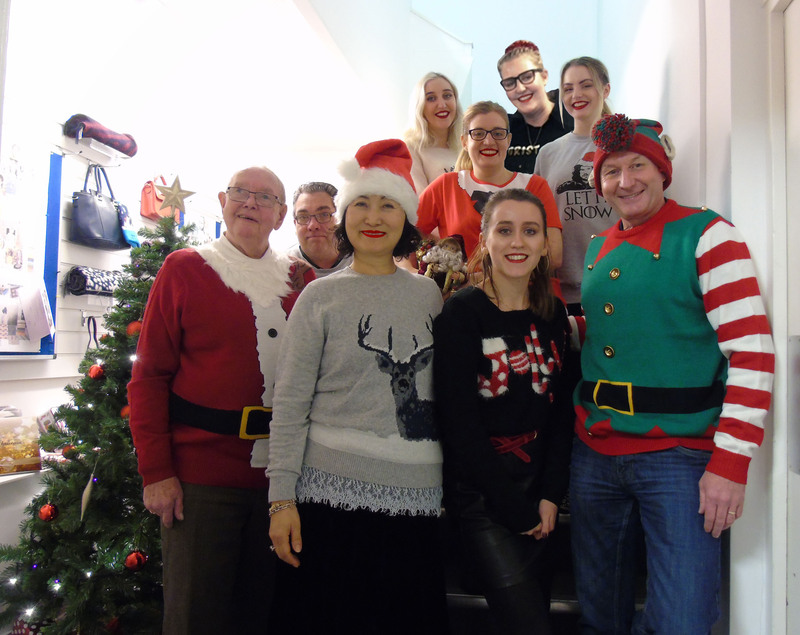 So today at AG HQ all the team have got together to celebrate a ‘belated’ Christmas Jumper day. This is us all here next to the Christmas tree after a festive feast of Turkey Christmas dinner sandwiches and mince pies! I think the winner is Chris the Christmas elf… Closely followed by Harriet in her ‘Dachshund through the snow’ Jumper… so cute! Bring on the AG Christmas party on Friday… God help us!